The Washington Post was founded in 1877 by Stilson Hutchins, then went through a series of owners before being sold at a bankruptcy auction in 1933. Eugene Meyer was the new owner and publisher, and he was able to triple both the circulation and advertising sales, but the paper continued to lose money. President Harry Truman appointed Meyer as president of the new International Bank for Reconstruction and Development in 1946, and Meyers’ son-in-law, Philip Graham, took over as publisher. The paper found success under Graham, and in 1961 Graham purchased Newsweek, which the company held until 2010 when it was sold. When Graham died in 1963 his wife Katharine took over as publisher, then in 1979 the Grahams’s son Donald is her successor. The Graham family owned the Washington Post until 2013 when Amazon founder Jeff Bezos bought the company. In addition to Newsweek, the Washington Post also publishes the free commuter paper Express (2003), El Tiempo Latino, a Washington metro Spanish language paper (2004), Slate (purchased from Microsoft in 2005) and Foreign Policy (2008). 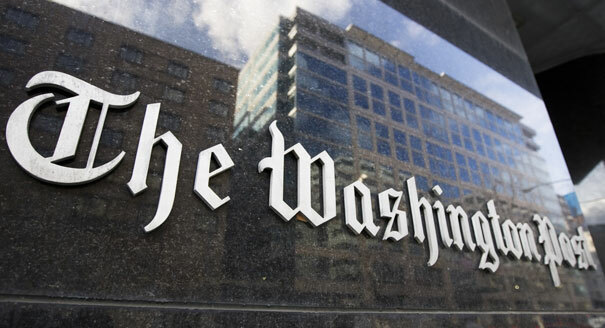 The Washington Post focuses primarily on political news and general news about the Washington, D.C. metro area. Unlike many of the other large metropolitan newspapers in the eastern United States, Washington Post has never expanded publication the other parts of the country. It is also one of the few news agencies to maintain foreign offices around the world, enabling reporters to gain access to breaking news much faster than other outlets. Washingtonpost.com, launched in 1996, allows free access without a subscription to all except heavy users. Some exceptions are made for heavy users, such as students or others who may be conducting research. First to publish articles on a break-in at the Watergate office complex, where the Democratic National Convention is headquartered. This story will expose party corruption and lead to Nixon’s 1974 resignation from the presidency. The Washington Post offers archival copies or back issues from 1877 to the present. Copies from 1877 to 1995 are digital PDF images of the original print copies and typically include articles, birth announcements, wedding announcements, classifieds, and photographs. These are not available for online viewing but may be purchased, although summaries of the contents may be available for preview. These copies are digital version of microfilm, so some issues may not be available in full. Archival copies from 1987 to present are text copies and do not include advertising, photographs, wedding announcements, birth announcements, or classifieds. In this date range abstracts or summaries of articles can be viewed at no charge and the full text is available for purchase. Only photos from 1996 to the present are available for purchase.